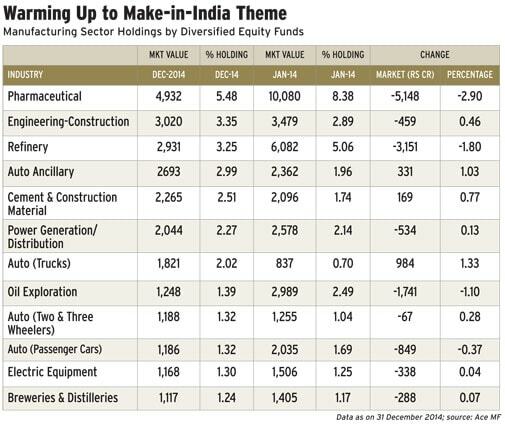 Mutual funds are coming out with schemes based on government's push to manufacturing sector. Mutual funds always show interest in new investment ideas. Last year, they launched many close-ended value funds in expectation that equity markets will rise after the National Democratic Alliance comes to power. There was a similar rush in 2012-13 when fund houses launched schemes for investing in US-based companies. The trigger was US economy's recovery from the 2008 financial crisis. This also worked wonders as the Dow Jones Index rose from 12,000 in June 2012 to 18,000 at the end of 2014. 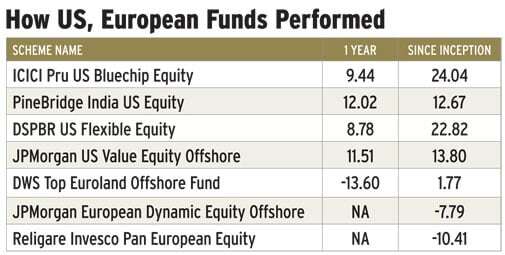 A year later, fund houses launched European funds in expectation of a turnaround there. These have not delivered so far. 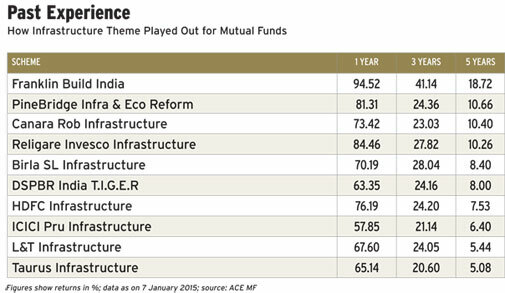 Other popular themes are infrastructure, MNC, lifestyle, dividend yield and global commodities. Some have given good returns, some not. Most infrastructure funds, the toast of the town before 2008, had a bad time between 2008 and 2014, though things have started to look a little better for them now. As in any 'bull' market, mutual funds are looking to make the most of improved investor sentiment by launching funds based on new themes, especially manufacturing. A look at filings with the Securities and Exchange Board of India (Sebi) shows that Prime Minister Narendra Modi's 'Make in India' pitch to industry has struck the right chord with fund managers. A number of fund houses are coming up with schemes that will invest in manufacturing companies. For instance, Birla Sun Life Mutual Fund recently launched a fund for investing "predominantly in equity and equity-related securities of companies engaged in manufacturing." Sundaram Mutual Fund launched has two close-ended funds-Sundaram Long-Term Tax Advantage Fund-Series I and Sundaram Top 100-Series IV & V - which will invest in a diversified portfolio of 40-45 companies engaged in exports and manufacturing. Some other emerging themes are economic recovery or resurgence of the business cycle. Recently, JP Morgan Mutual Fund launched JP Morgan India Economic Resurgence Fund, an open-ended equity scheme that will invest in "businesses that stand to benefit from growth acceleration and reform initiatives." L&T Mutual Fund has launched L&T Business Cycle Fund that will invest in stocks of companies at different stages of business cycles. ICICI Prudential Mutual Fund recently filed an application for ICICI Prudential India Recovery Fund, a close-ended equity fund that will invest in stocks of companies likely to benefit from recovery in India's economy. As more clarity emerges on government's polcieis, experts expect fund houses to launch more schemes based on themes such as manufacturing and economic revival. However, before investing in a new theme, investors must judge its merits, so that they do not end up with the kind of mess infrastructure funds landed them into after 2008. The manufacturing sector's contribution to the country's Gross Domestic Product (GDP)-a measure of goods and services produced in the country )-is only 15%. For the services sector, the figure is 57%. "Given that 10 million people are added to our labour force every year, we need to generate 30,000 jobs every day"
Experts say manufacturing's contribution must rise to over 25% if the country is to generate enough jobs. Nearly 8-10 million people are added to the country's workforce every year. A report by Morgan Stanley says India will contribute 25% to the world's workforce by 2025. "Given that 10 million people are added to our labour force every year, we need to generate 30,000 jobs every day," says Pankaj Murarka, head of equity, Axis Mutual Fund. He says the government will have to increase manufacturing's contribution to GDP to 33%. "Investor-friendly pragmatic policies are needed on labour laws, resource allocation, foreign direct investment, land acquisition and taxation. We also need basic infrastructure such as rail, roads, ports and utilities," says Mahesh Patil, Co-CIO, Birla Sun Life AMC. Let's see what steps the new government has taken so far to give a fillip to manufacturing. 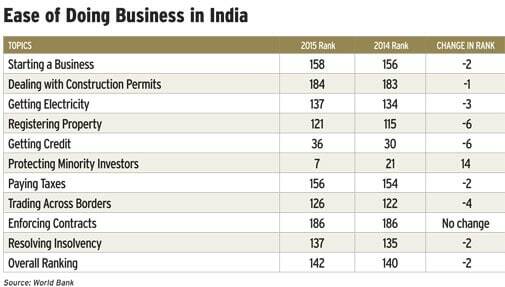 Ease of doing business: India ranks 142 among 189 countries in ease of doing business, according to a World Bank ranking. It fares far worse than most emerging economies such as China (90), Russia (62), Brazil (120) and South Africa (43) and Mexico (39). Opaque procedures, bureaucracy and obsolete laws are seen as the biggest hindrance to businesses. The government has taken steps to streamline procedures. It has set the turnaround time for grant of security clearances for industrial licences at 12 weeks and created an online window for clearances and compliance. It has also launched a portal for companies to comply with 16 central labour laws. The facility for online environmental clearances has also been started. Labour reforms: The government has taken from labour inspectors the power to decide which unit to visit. Instead, they will get a computer-generated list of units to be inspected. They will have to upload their report on the portal within 72 hours of the inspection. The number of forms for compliance of labour laws that employers have to file has been reduced from 16 to 1. States like Madhya Pradesh, Rajasthan and Haryana have started reforming labour laws. Some of the changes include amendment to the Industrial Disputes Act allowing employers to lay off up to 300 employees without government approval and increasing the number of employees required to form a trade union from 15% to 30% of the total workforce. Land acquisition law: The government has made land acquisition laws less stringent through an ordinance. It has removed the requirement of written consent from 70% landowners for public-private partnership (PPP) projects in infrastructure and social infrastructure sectors. Rules for social impact assessment have also been eased for PPP, industrial corridor and affordable housing projects. "Coal block allocation will start soon. We believe coal sector issues will be resolved in the next four-five months"
Other steps: The government has also promulgated an ordinance paving the way for e-auction of coal blocks to private companies for captive use and allotting mines directly to public sector undertakings. The ordinance was passed after the Supreme Court cancelled the allocation of all coal blocks since 1993. "Coal block allocation will soon start. We believe coal issues will be resolved in the next four-five months," says J Venkatesen, fund manager, Sundaram Mutual Fund. This will go a long way in addressing the power crisis that manufacturing units are facing. The Goods and Sales Tax (GST) Bill has been introduced in the lower house of Parliament. The Bill will be considered for approval in the Budget session. GST will create a uniform tax structure and eliminate the cascading effect of state taxes. Along with the above steps, if the Reserve Bank of India (RBI) finally cuts interest rates-the chances are high as inflation has fallen steeply over the past few months-businesses will get a boost from cheaper credit and lower interest outgo on existing loans. Sectors likely to gain from the 'Make in India' push are auto, auto ancillaries, defence, consumer goods and non-discretionary consumables. "We are overweight on certain cyclical sectors such as industrials, which includes engineering, construction and product companies. We believe cement will benefit in a meaningful way from infrastructure and home building, given the government's focus on affordable housing. Automobile makers also have a high potential as they are levered to growth," says Nandkumar Surti, managing director and CEO, JP Morgan Mutual Fund. According to Mahesh Patil of Birla Sun Life Mutual Fund, other than the obvious sectors-auto, auto ancillary, pharma, refining, capital goods and textiles-railway and defence are also likely to gain from the manufacturing push. Pankaj Murarka of Axis Mutual Fund is bullish on auto and pharma sectors. "We believe India will be the fourth-largest auto maker in the world in the next 10 years. The pharma sector has already achieved a critical scale globally and will continue to do well," he says. The target of increasing manufacturing's contribution to 25% of GDP is not going to be a cake walk. It has been in the 15-16% range since the 70s and did not cross 17% in the 1990s despite economic reforms. The global economy itself is going through prolonged sluggishness. The drastic fall in crude oil prices-which initially brought cheers to oil importing economies-is now giving jitters to the global economy as prices have fallen below $50 a barrel. Even the US economy, which has consistently shown improvement over the last couple of years, may be hit by falling oil prices. The euro zone keeps showing signs of relapsing into recession even as Japan continues to struggle. Unless both the US and euro zone revive, the demand for industrial goods will remain subdued. Investors looking to benefit from possible revival of manufacturing should know that thematic funds can be cyclical in nature. Therefore, they should not get taken in by the noise about 'Make in India'. Even if you want to take a bet on manufacturing, a diversified fund is a better option. Such a fund will invariably invest in stocks of manufacturing sectors. If you still want to go for a thematic fund, invest a small part of your portfolio in it lest you want a re-run of the infrastructure fund story.